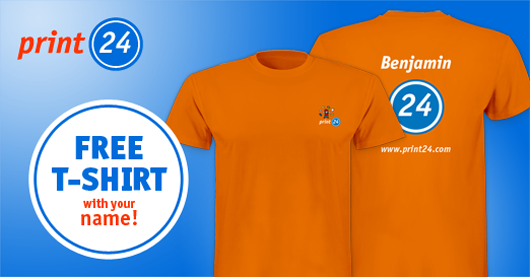 Print24.com will send you a FREE T-shirt with your name, and possibly, a FREE binder plus $25 coupon off. "Thank you very much for your email. We have already informed our samples department and you will receive the relevant sample the next few days. Please don't hesitate to contact us if you require any further information or encounter any issue"
If you get this message, congrats! just wait for 4 weeks and your T-shirt will be mailed for you.